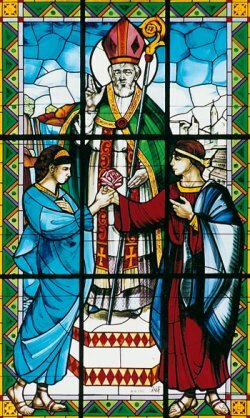 Saint Valentine risked the Emperor's wrath by standing up for traditional marriage, secretly marrying soldiers to their young brides. 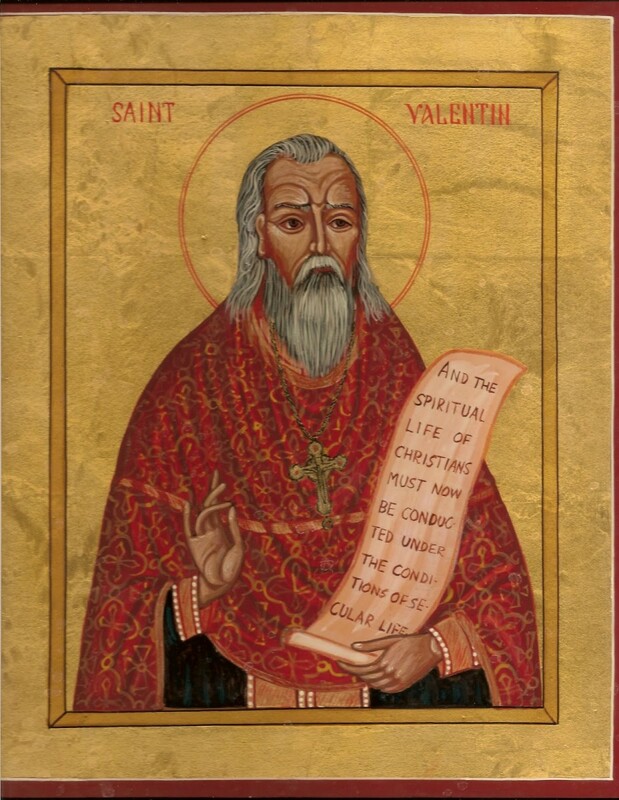 Condemned to die for refusing to worship pagan idols, Valentine prayed for the blind daughter of his jailer, resulting in her healing, the conversion of the jailer and many others. Right before his execution, Saint Valentine wrote a note to the jailer's daughter, signing it, "from your Valentine." February 14th marks the date of Valentine's martyrdom. The Story of Valentine's Day from The History Channel. 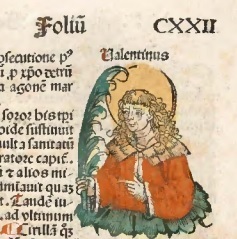 According to a variety of resources, the legends and stories about St. Valentine are based on the execution of three different men, named Valentine, who lived in the Third Century. Two of the Valentines made the mistake of drawing the attention of Emperor Claudius II, who had been persecuting the Christians throughout the Roman Empire. One of them is said to have been the Bishop of Terni, Italy. They stood up to the Roman authorities and held to their beliefs and in different locations, on different years of Claudius’ reign, were executed on February 14th, and buried by the side of the Via Flaminia, the road between Terni and Rome. 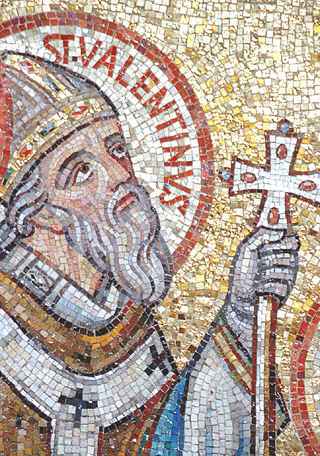 Two centuries later, when Valentine was granted sainthood, Pope Gelasius chose February 14th as Valentines’ Day in an attempt to replace Lupercalia with a Christian celebration. The third Valentine is barely mentioned by the ancient stories as having been murdered by a mob somewhere in Africa. Click "more" for source citations. British Library Manuscripts of "The Parliament of Fowls"
It is thought that the romantic traditions for St Valentine’s Day were sparked in 1392, by Geoffrey Chaucer in his Canterbury Tales: The Parliament of the Fowls. This is the first time St Valentine is mentioned in a literary work From the British Library manuscript collection: Public Domain. The first printed mention of Valentine was in the Nuremburg Chronicle, 1493. Image citation: Valentinus. In Liber Chronicarum, compiled by Hartmann Schedel. Germany: A. Koberger, July, 1493. World Digital Library. Cards and gifts were exchange beginning in the 1500’s and machine made cards came into popularity in the 1800’s. 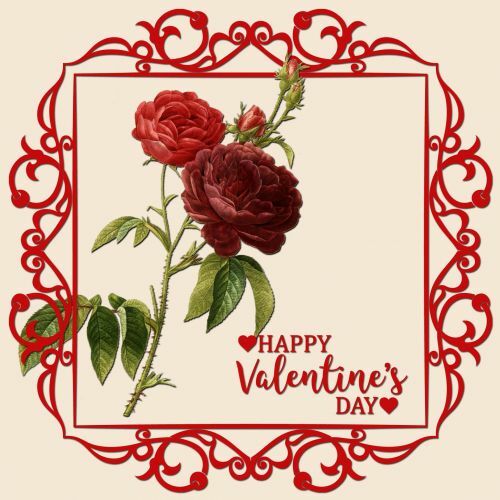 Etymology of “valentine” as “a letter or card sent to a sweetheart” began about 1824, is in common use today, and can be found in every dictionary. 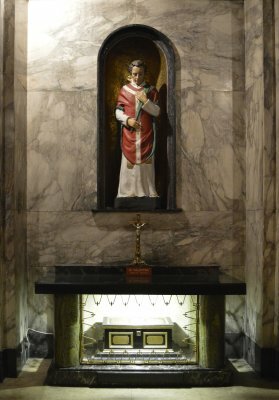 In 1999, historians discovered that part of the remains of St Valentine were buried in the Church of Blessed St John Duns Scotus in Glasgow Scotland. 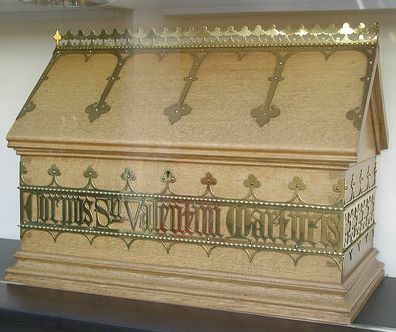 A 3ft-wide decorative casket with the words ‘Corpus Valentini Martyris’ gilded on across it is on display. Basilica of Santa Maria in Cosmedin, Rome. Here lies the patron saint of lovers – or does it? 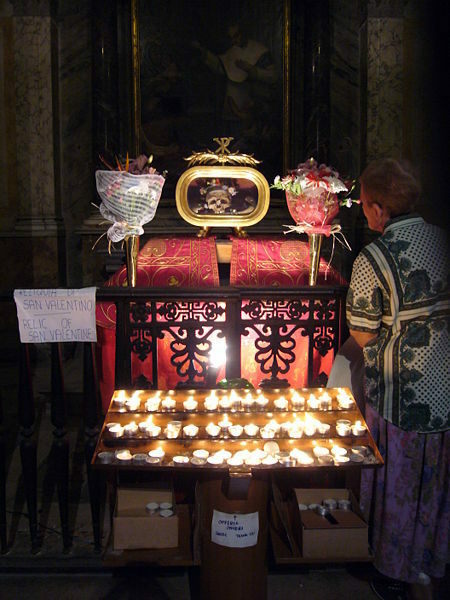 On February 14 two holy martyrs of the same name are recorded, priest Valentine of Rome and bishop Valentine of Terni. Here, the incomparable C. S. Lewis examines human love in four forms: affection, the most basic, general, and emotive; friendship, the most rare, least jealous, and, in being freely chosen, perhaps the most profound; Eros, passionate love that can run counter to happiness and poses real danger; charity, the greatest, most spiritual, and least selfish. Proper love is a risk, but to bar oneself from it--to deny love--is a damning choice. Love is a need and a gift; love brings joy and laughter. We must seek to be awakened and so to find an Appreciative love through which "all things are possible." 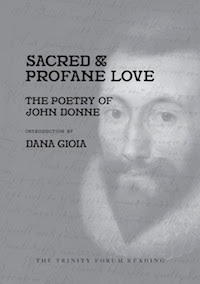 Few people have explored this wrestling between the physical and spiritual better than John Donne, the seventeenth-century poet who poured into a few short words an intensity of feeling and depth of insight that have inspired readers for centuries. “Why a holiday of unmet expectations leads me to the Resurrection.” An article by the mother of six children meditating on what we could learn from Valentine about God's love. There are those among us that don’t look forward to Valentine’s Day. 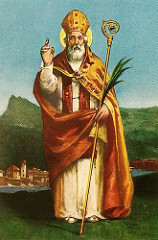 Who Prays to St. Valentine? by Alma R. Giordan. This light-hearted article mentions other parts of the legend. The birds and leaves that Hallmark puts on their cards come from the legend of the birds that carried messages, on leaves, to Valentine’s heartbroken followers. The author’s opinion is that Hallmark is among those who pray to St. Valentine, as well as, florists and candy makers, even John Donne.